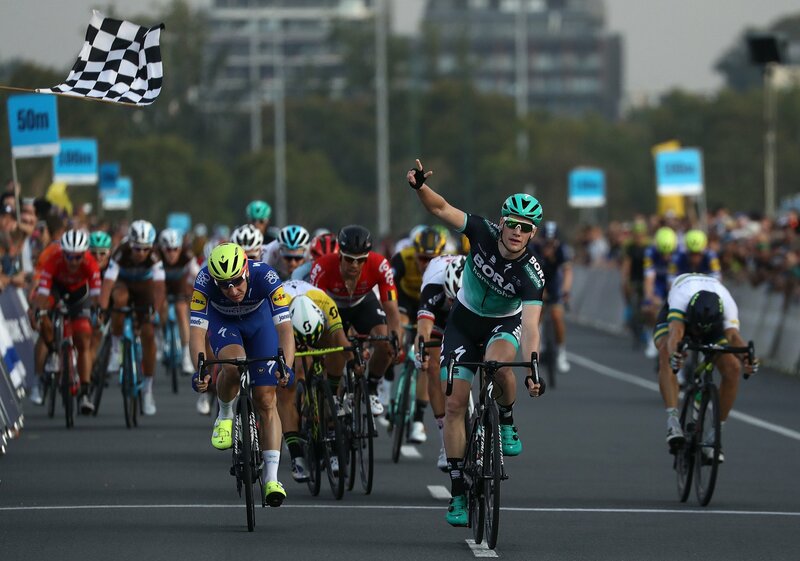 Sam Bennett (BORA – hansgrohe) has claimed back-to-back wins in today’s Towards Zero Race Melbourne at the Australian Formula 1 Grand Prix track. The 27-year-old, who won the inaugural 22 lap criterium in 2017, returned to show his dominance of the fast and strategic race finishing in 2h29:08. Olympic gold medallist Elia Viviani (Quick-Step Floors) finished second and Australian stalwart sprinter Steele Von Hoff (KordaMentha Real Estate) third on the podium. Race ambassador and Mitchelton-SCOTT pocket rocket Caleb Ewan again finished fifth. Australian Annette Edmondson (Wiggle High5) won the Women’s criterium in 1h34:54 ahead of Italian Giorgia Bronzini (Cylance Pro Cycling) and American Kendall Ryan (Team Tibco-Silicon Valley Bank) earlier in the day. With riders’ fresh and hunting for victory at the start of the season, both the Men’s and Women’s criteriums finished with bunch sprints in front of big crowds on the Australia Day Eve. After a 5pm start, the Men’s field of 108 starters showed early aggression. Two early crashes left Aaron Gate (Aqua Blue Sport) with a suspected broken wrist, while Team Lotto NL Dutch rider Daan Oliver was taken to hospital with a suspected pelvis injury. Maciej Bodnar (BORA – hansgrohe) and Michael Rice (KordaMentha Real Estate) were also involved. Seven riders established an early breakaway in the 22 lap criterium – which remained until the peloton pulled them back in the final lap. The tempo began lifting from lap 16 of the 116.6km race with the fast lap taking just 6:30s. Race director Scott Sunderland said: “The circuit is made for F1 cars racing at 300km/h and the Men today pushed around 70km/h on two wheels. Edmondson said after the race: “It was a strong power, tail wind sprint. I had to jump a couple of wheels and I was on the inside,” she said after the 63.6km race. After a conservative first half of the 12-lap race, which saw riders trying to accelerate off the front before the gaps were quickly nullified – Wiggle High5 and rival Mitchelton-SCOTT dominated the final lap. In front of a field of 86 riders from around the globe, Team Virtu Cycling’s Barbara Guarischi won the sprint classification, ahead of Italian counterpart Rachele Barbieri (Wiggle High5) and Australian heavyweight Peta Mullens (KordaMentha Real Estate). For the second year in a row winners of the men’s and women’s Towards Zero Race Melbourne crits received equal prizemoney – both taking home $A12,240 (€8000) for their efforts. 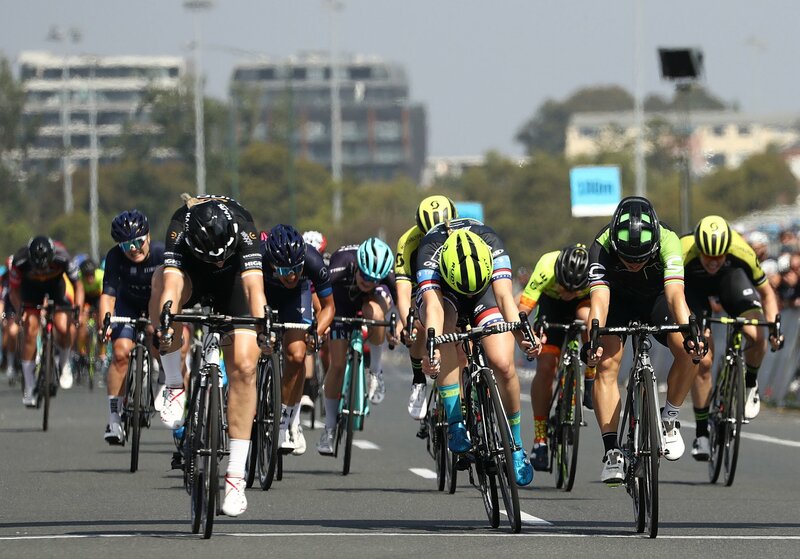 Oceania Cycling Confederation President and UCI Women’s Commission President, Tracey Gaudry, said: “To have professional races in Australia like Towards Zero Race Melbourne, which provide equal prizemoney recognition to our female and male elite riders is a major drawcard for the women’s teams in particular. The first-place-getters also took home a handcrafted Flynn Silver trophy designed to celebrate elements of the Cadel Evans Great Ocean Road Race trophy and the Australian Formula 1™ Grand Prix trophy, as well as a TAG Heuer Connected Modular 45 watch. Thousands of spectators enjoyed the Belgian Village with European food vendors, a beer garden with festoon lighting, roving entertainment, DJ beats, and activities for the whole family. The public also turned out in force for the inaugural Ride4All event at 1pm, where they experienced riding the 5.3km race-day circuit including passing under the official start/finish gantry. 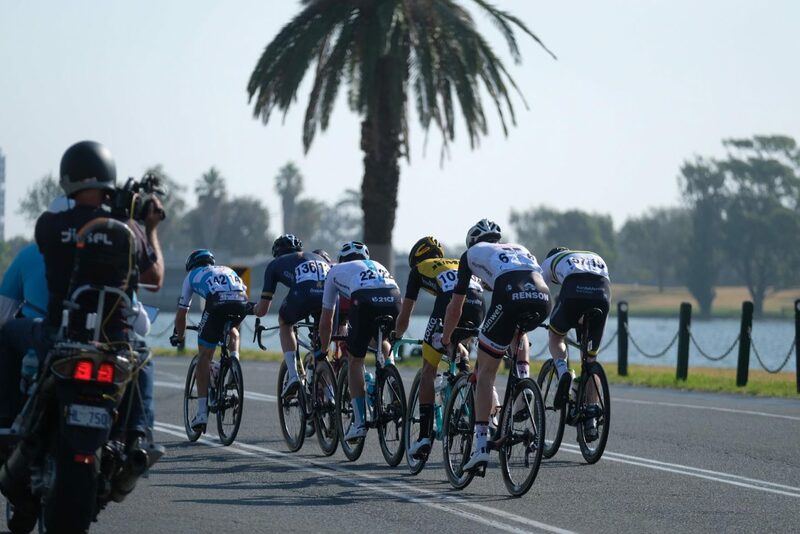 The TAC continued its involvement with Towards Zero Race Melbourne for the second edition of the spectacular criterium race. “Partnering with the Cadel Evans Great Ocean Road Race, and the Towards Zero Race Melbourne, provides us with great opportunities to continue highlighting road safety issues for all road users, especially the importance of sharing the road,” said TAC chief executive officer, Joe Calafiore.